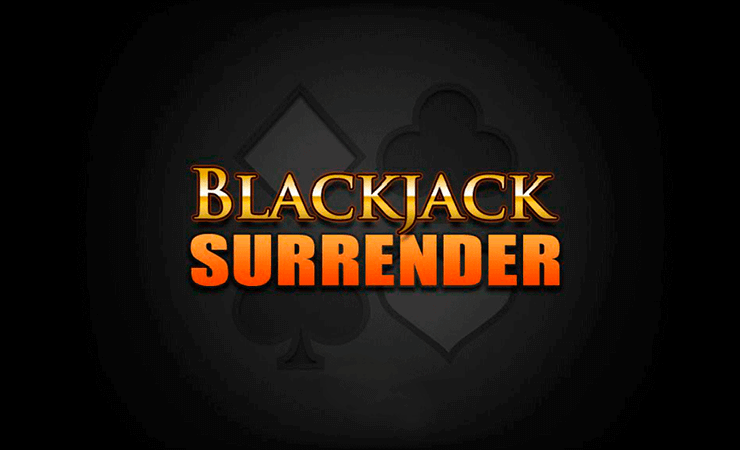 Blackjack Surrender by Playtech offers more than the classic blackjack: you can early or late surrender in the game. We will explain what that means below, but let’s start with basics. The game has a very nice interface and the graphical quality is quite good. The game can adapt itself to your monitor resolution, which results in a clear and eye-candy look. The interface is easily understandable and even if you don’t know how to play blackjack, you have an idea of what’s going on. In terms of graphical quality and ease of use, Blackjack Surrender passes with colors. To start the game, you need to place your bet first. As you can see, there are six betting boxes in the interface, you can play on all of them or only one, your choice. There are some poker chips with different numeric values to the bottom left, these are your wagers. The betting range is between 0.1 and 100 coins, and the maximum bet you can make is 300 coins. Simply click on the poker chip of your choice and then, click on the betting box. You can start the round by clicking on the “deal” button. The game will deal two cards for you and the croupier. One card of the croupier is hidden but the other one can be seen. As you know, the goal is to reach a card total of 21 in blackjack. This still applies, you must get a total of 21 or a total higher than the croupier to win the round. This is where the “surrender” option comes into play. If you think the croupier has a better chance to reach a total of 21, you can surrender at this point and take half of your wager back. As a general rule, if the dealer has a 9 or 10, it is always advised to surrender. The game is played with six decks and dealer always stands on 17. The game pays 2 to 1, a normal payout for most of the blackjack games. You can also double your bet at any time during the main game by clicking on the button with the same name. Blackjack Surrender is a nice version of this popular card game and allows you to practice for free. You can also have fun for hours since the balance in demo mode is 2.000 coins. Have fun and play at Casino Avenue to find more card games like this!